The result has been both growing impoverization of formerly “stable” layers of the working class (an increase in the US minimum wage to $15 an hour would raise the wages of auto workers hired since 2008) and the sharpest levels of social inequality since the Great Depression of the 1930s. Many in the US refer to a second “Gilded Age,” drawing parallels with the era of robber barons and precarious workers in the 1870s and 1880s. However, unlike the “Gilded Age” – or the era before the mid-1970s – there have been relatively low levels of working class resistance to capital. The 1870s and 1880s saw waves of mass strikes, most unsuccessful, which laid the basis for the growth of mass working class parties and unions in the quarter of a century before the First World War. The “Red Years” of 1917-1923 gave birth to revolutionary Russia, near revolutions in Italy and Germany and a massive strike wave across the capitalist world. The late 1930s again produced revolutionary upsurges in Spain and France, and factory occupations in most other industrialized societies. The “long 1960s” (1965-1975) was marked not only by massive revolts by people of colour, women and queer folks, but also, despite predictions of the “end of the working class,” waves of unofficial (“wild-cat”) strikes in Japan, Western Europe and North America. In contrast, the capitalist offensive has met little sustained resistance since the mid-1970s. Clearly, there have been major battles (the British miners’ strike of 1984-1985, the PATCO strike in the US in 1980-1981), sporadic upsurges of protest like the Occupy movement, and some top-down controlled one-day general strikes in Canada and Europe. Most of these struggles have either been defeated, and have not sparked the massive struggles that those of us on the left have hoped for. In no other country is the level of resistance as low as in the heartland of modern capitalism, the United States. Still the only major capitalist society without an even timidly reformist independent workers’ party, the working class and the oppressed in the US have mounted little sustained opposition to the deterioration of their social and economic position. 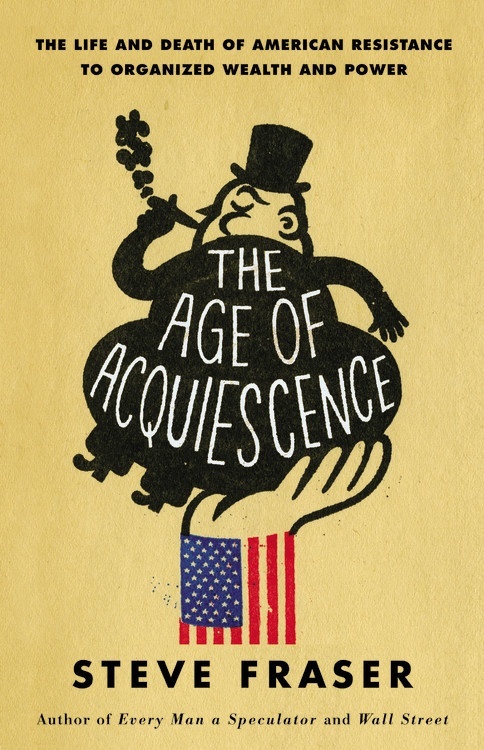 Steve Fraser, a noted labour historian, attempts to unravel why there has been so little popular resistance to the new “Gilded Age” in the US in his new book The Age of Acquiescence. The great strength of the book is its detailed accounts of levels of both working class resistance and acquiescence to an aggressive capitalist class before and after the 1930s and 1940s. Fraser’s reconstruction of the myriad forms of opposition in the period before the 1930s is a welcome alternative to the all too common notion that the US working class lacked a tradition of class warfare. Fraser details waves of strikes, often involving pitched battles with the force of state and private repression and the seizure of workplaces, and pro-working class resistance among farmers and people of colour. Even more importantly, he documents how anti-capitalist politics were the “common sense” of a significant minority of working people from the 1870s through the 1930s. From the Knights of Labour to the Wobblies, Socialists and Communists before the Second World War, Fraser demonstrates that “class war” and the vision of a democratic and collectivist order beyond capitalism were part and parcel of the politics of a minority of workers in the US. The contrast with the post-World War II period – and especially the neo-liberal era since the 1980s – is marked and painful. For Fraser, the decline of radicalism and militancy began during the 1940s, as the new industrial union became increasingly embedded in the institution of US capitalist democracy. While he rejects any attempt to attribute the de-radicalization of the labour movement simply to the machinations of the labour officialdom, Fraser believes that working people traded any alternative to capitalism for “full citizenship” in the US polity and society. Not only did this effectively “tame” labour as a potential challenger to capital, but it set limits on the potential radicalism of the movements of people of colour, women and LGBT folks in the 1960s and 1970s. In contemporary America, large segments of working people embrace “fables” that undermine resistance:capitalists as rebels, stock ownership democratizing the economy, and contract work as liberation. While Fraser’s depiction of the rise and fall of popular opposition to capitalism in the US is quite compelling, his explanation of the historic shift leaves much to be desired. 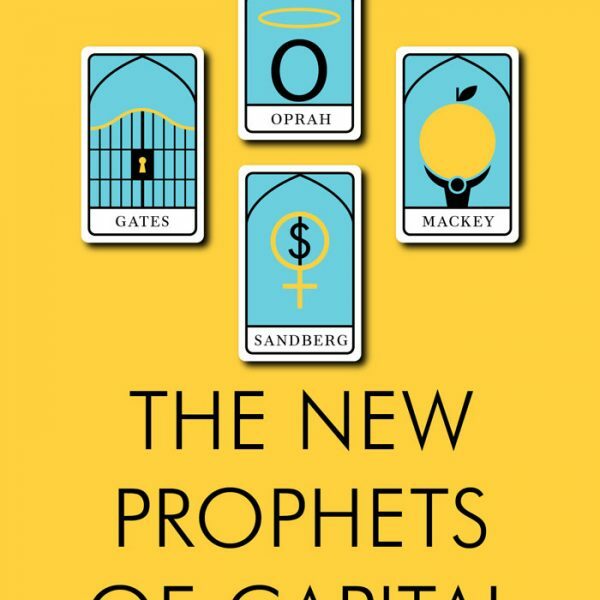 Buried in the mass of detailed description is the claim that anti-capitalist radicalism in the US – and by extension other capitalist societies – is rooted in the collective experience and memory of non-capitalist social relations. The experience of artisanal and rural household production, where producers organized their own and their families’ labour independently of capital, allowed workers in the nineteenth and early twentieth century to easily imagine a world beyond capitalism. This radical vision, combined with the experience of the successful struggle against slavery, fueled their belief that “another world” was not only imaginable, but possible. As capitalism established itself through the destruction of independent production, the process of primitive accumulation, the ability of working people to envision a different world declined, leaving them open to integration into capitalism through the promise of citizenship and increased consumption. The notion that working class radicalism is rooted in the experience of non-capitalist relations and that radicalism necessarily declines as capitalism destroys non-capitalist social relations has a long history. It is also, historically inaccurate. While it is true that the early workers’ movements in many industrialized countries appealed to a romantic vision of pre-capitalist society, radical and revolutionary working class movements survived for a considerable time after the consolidation of capitalism. Germany, perhaps the most capitalist society on Continental Europe before World War I, produced the largest Marxist workers’ organizations – both social-democratic and communist – in the world. In addition, the workers who made up the bulk of the membership of radical and revolutionary organizations in the twentieth century were not those who were new to capitalist industry. Workers who had recently been independent artisans or farmers tended to be attracted to more reformist variants of labour politics, while it was second and third generation industrial workers – in particular skilled workers – who were drawn to revolutionary syndicalism, left-wing social democracy and communism. Most importantly, workers in the post-World War II period displayed the capacity for militancy in the face of capital. Fraser tends to give extremely short shrift to the wave of strikes, many of them “wild-cats” which shook US industry between 1965 and 1975. These were part of a wave of mass strikes, often led by younger, second and third generation workers, which swept the global North. In almost all of these struggles, workers were able to not only resist speed-up and deskilling of work, but won substantial workplace and political concessions from capital, while actually threatening capitalist rule in France in 1968 and Portugal in 1974-1975. Despite Fraser’s mistaken identification of a pre-capitalist past with working class anti-capitalism, his claim that the decline of anti-capitalist radicalism is central to understanding the decline of working class resistance is substantially correct. Conflicts over strategy and tactics mark every wave of working class struggle in the history of capitalism. On one side is a layer of workers who have become the full-time officials of the labour movement, the social layer that systematically promotes the limitation of working class struggle and the integration of workers organizations into the capitalist economy and state. On the other is the “militant minority” – the real workers’ vanguard – who agitated for militancy against capital, for democracy and solidarity among workers and who were the mass audience for radical and revolutionary politics in the global North before World War II. However, this was the result not of the destruction of non-capitalist relations in the global North, but the historic shift in the political and social orientation of the workers’ vanguard. In the wake of the Russian Revolution, the bulk of the militant minority joined the new revolutionary Communist Parties. These parties, over the course of the 1920s and 1930s, became instruments of the foreign policy of the Soviet bureaucratic ruling class and their political strategy and tactics shifted in line with these needs rather than the class struggle in their own country. In the late 1930s, as the Soviet rulers sought an enduring military alliance with the capitalist democracies against fascist Germany and Italy, the Communist parties adopted the “popular front” strategy, an essentially reformist orientation of long-term alliances with ‘progressive’ union officials, social-democratic leaders and “democratic” capitalists. This shift not only ideologically disoriented the ranks of the Communist Parties, but led to their integration into the trade union officialdom. Put simply, the independent militant minority that had historically posed an alternative to the politics of the labour officialdom at key junctures of the class struggle was socially and politically disorganized. The weakening of the workers vanguard – and its almost complete disappearance in the US – accounts for the ability of the labour bureaucracy to so easily derail working class resistance over the past forty years. 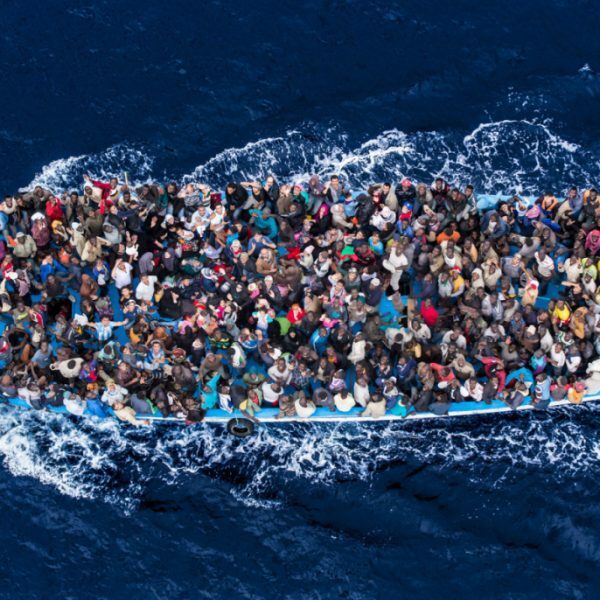 In order to revive infrastructures of resistance and successful struggles against the current neoliberal offensive, the left will need to prioritize the rebuilding and reorganization of the militant minority. Charlie Post is a long-time socialist and labour activist who teaches sociology in New York City. For a more detailed discussion of this history see C. Post and K.A. Wainer, Socialist Organization Today (Detroit, MI: Solidarity Pamphlets, 2005) ; and C. Post “What’s Left of Leninism: New European Left Parties in Historical Perspective,” in G. Albo, L. Panitch and V. Chibber (eds. ), Socialist Register 2013: The Question of Strategy (New York: Monthly Review Press, 2014), pp. 175-187.